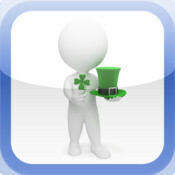 i See-quence… St. Patrick’s Day is an application providing a photo social skills story for individuals that need support in understanding St. Patrick’s Day. Twenty-seven icons with real picture images are used to illustrate the sequence of events. Each page can be individualized for the user by adding personal photos taking pictures with an Apple camera ready device, add text and audio. Typically developing young children participating in St. Patrick’s Day for the first time and individuals with developmental delays, such as PDD-NOS and autism will benefit from this interactive application. Parents, teachers, SLP’s and other support professionals will appreciate the user friendly design. -St. Patrick’s Day – 27 premade pages with things relative to St. Patrick’s Day. -Hold down book title page and choose to export a the book data via email so that a user with the same app can load your book on their device. -Edit all pages included in pre-made books with personalized photo, title and subtitle text and recorded audio. Requirements: Compatible with iPhone, iPod touch and iPad. Requires iOS 5.0 or later.